LJIC #TUESTIMONIAL WITH JESSICA NIGGEBRUGGE! 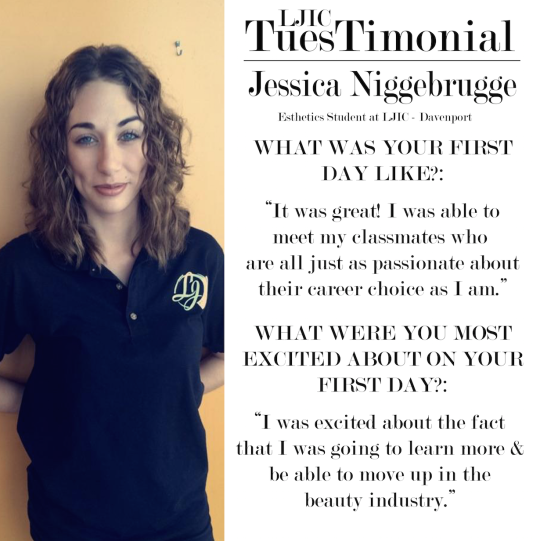 Jessica has always heard wonderful things about LJIC from graduates, so she knew this was the right choice for her! Thank you Jessica for sharing your LJIC experiences & for participating in today’s TuesTimonial!